Thanks to Japan’s successes in the early months of World War II in the Pacific, the command of the Japanese Imperial fleet began planning for an invasion of Australia. Taking Australia would isolate it from the United States and ensure Japanese control of the southern part of the Pacific Ocean. In December 1941, the General Staff of the Japanese Navy offered to invade North Australia and make a breakthrough in the Solomon Islands to Fiji and New Caledonia. This proposal, code-named Operation FS, came from Captain Sadatoshi Tomioka, who was in the planning section of the operations of the Imperial Japanese Navy General Staff. Operation FS was debated several times in the following months. However, after the Battle of the Coral Sea and the Battle of Midway, the idea of an offensive was abandoned. 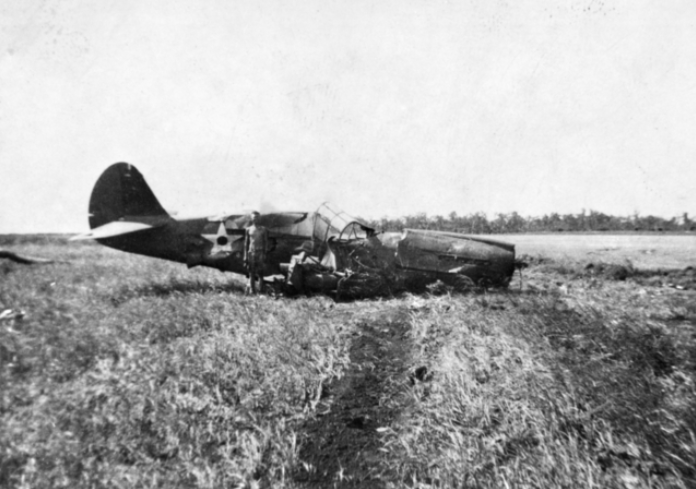 All subsequent Japanese operations refocused on deterring the Allied offensive. 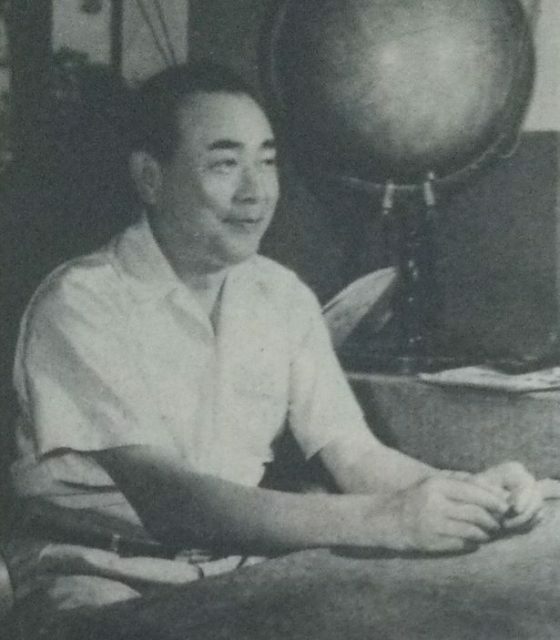 Baron Sadatoshi Tomioka – an admiral in the Imperial Japanese Navy during WWII. It is worth noting that, since the late 1920s, the Australian government had begun to plan for the possibility of invasion by the Japanese army. Accordingly, the Royal Australian Navy controlled the activities of the Japanese in the Dutch East Indies, Thursday Island, Cape York Peninsula, and New Guinea. The Australian government was suspicious that migrants from Japan to Southeast Asia and the South Pacific were part of an organized Japanese expansion program. It also suspected espionage by Chinese and Japanese fishing vessels that illegally operated in the waters north of Australia. 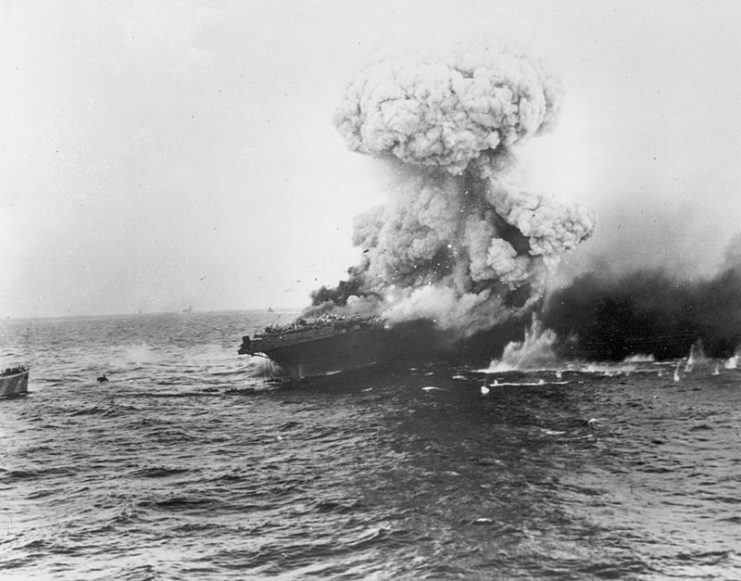 Battle of the Coral Sea.The American aircraft carrier USS Lexington explodes on 8 May 1942, several hours after being damaged by a Japanese carrier air attack. Tomioka’s proposal to seize Australia was advanced on the grounds that the United States would use Australia as a springboard for an offensive in the southwestern part of the Pacific Ocean. Despite the Australian government’s concern about an invasion, the northern part of Australia was poorly protected as well as isolated from major cities, so the invasion could be carried out by a relatively small assault force. Tomioka and his supporters also saw the seizure of Australia as a chance to undermine the morale of the Allied army. However, the plan had opponents. 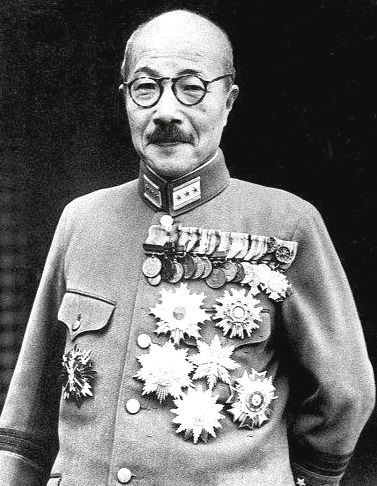 For example, Colonel Takusiro Hattori believed that the attack on Australia would dispel Japan’s attention too much. Tomioka and Hattori repeatedly argued among themselves about the validity of the attack. 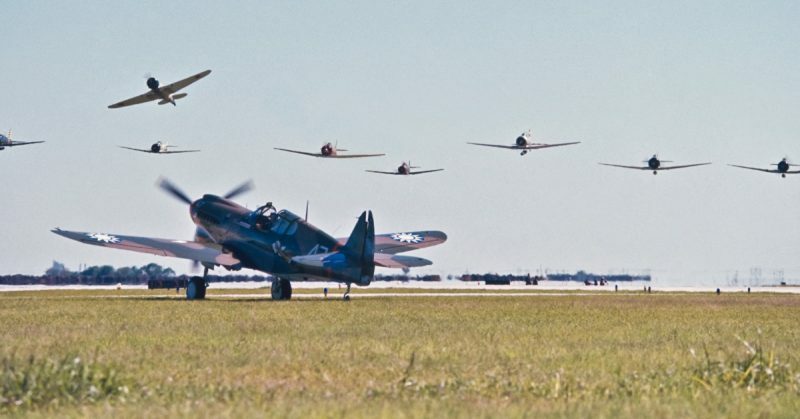 Battle of Midway. U.S. Douglas SBD-3 Dauntless dive bombers of VS-8 from USS Hornet about to attack the burning Japanese cruiser Mikuma for the third time on 6 June 1942. The Japanese army opposed the invasion proposal because of its impracticality. The priority of the army was to protect the perimeter of the Japanese conquests, and the invasion of Australia would significantly expand that line of defense. A large number of troops were already committed as part of the Kwantung Army in Manchuria to prevent the possibility of an invasion from Siberia. We never had enough troops to [invade Australia]. We had already far out-stretched our lines of communication. We did not have the armed strength or the supply facilities to mount such a terrific extension of our already over-strained and too thinly spread forces. We expected to occupy all New Guinea, to maintain Rabaul as a holding base, and to raid Northern Australia by air. But actual physical invasion—no, at no time. The possibility of an invasion of Australia was discussed by the commands of the Japanese Army and Navy in February 1942. The Ministry of the Navy officially proposed a plan for conducting an invasion into East Australia that would take place simultaneously with the capture of Fiji, Samoa and New Caledonia. However, this plan once again did not receive the approval of the Army. On February 14, the day before the seizure of Singapore, representatives of the fleet command and the army of the Imperial General Staff again discussed the possibility of an invasion of Australia. 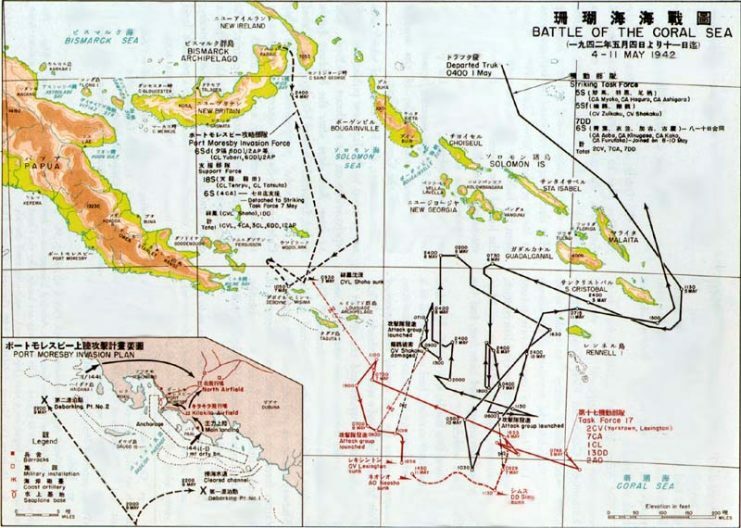 At the end of February 1942, the Ground Forces Command agreed to extend Japan’s strategic perimeters and cut off Australia from the US, and began planning to attack Fiji, Samoa and New Caledonia in Operation FS. 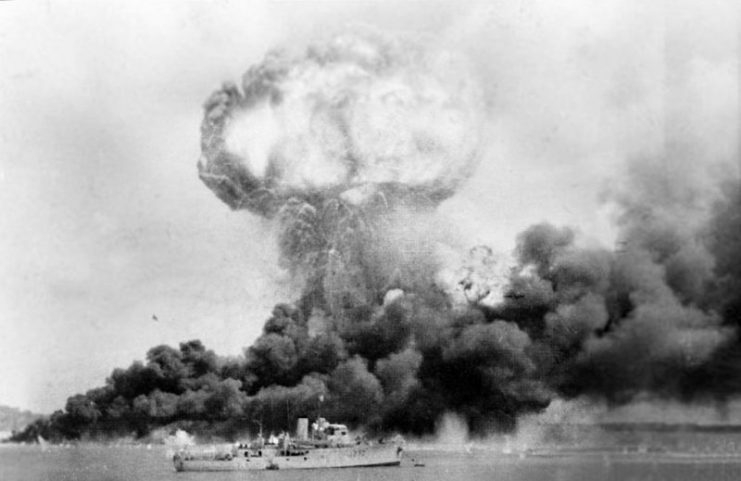 On March 4, it was decided that the plan to invade Australia would be used only if Operations MO, RY, and MI–the captures of New Guinea, the Nauru and Ocean Islands, and Midway, respectively–were successfully completed. Emperor Hirohito supported this decision, and it was planned to implement Operation FS in July-August 1942. 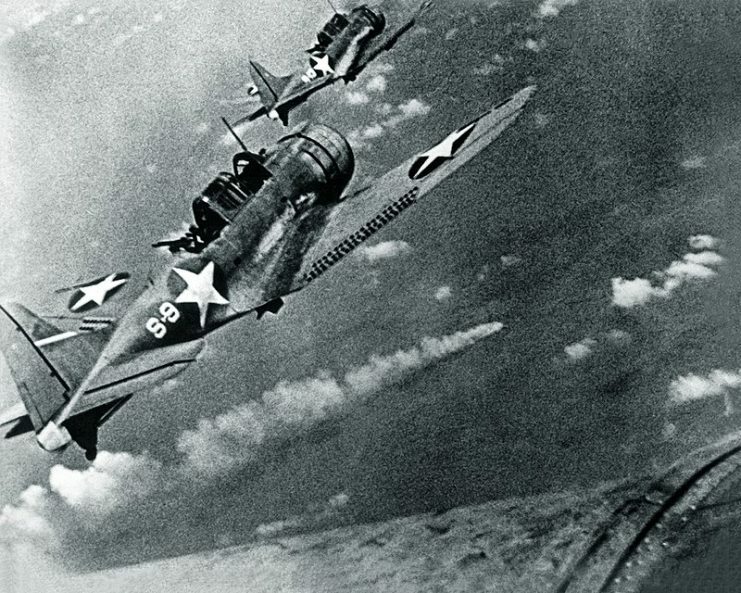 However, in connection with the defeat of Japan in the Battle of the Coral Sea and in the Battle of Midway, Operation FS was canceled on July 11, 1942.